Chemokines are small chemotactic cytokines with molecular weights around 8–10 kDa that are capable of inducing directed chemotaxis. Four cysteine residues in conserved locations result in a compact 3-dimensional structure. Based on the spacing of the first two cysteine residues, chemokines are divided into four families: CC chemokines, CXC chemokines, C chemokines, and CX3C chemokines, where C represents cysteine and X represents any other amino acid. Chemokines function by activating specific G protein-coupled receptors resulting in migration of inflammatory and non-inflammatory cells. The proinflammatory chemokines are responsible for migration of immune cells to the infection site, while the homeostatic chemokines are responsible for recruiting cells for tissue maintenance and development. 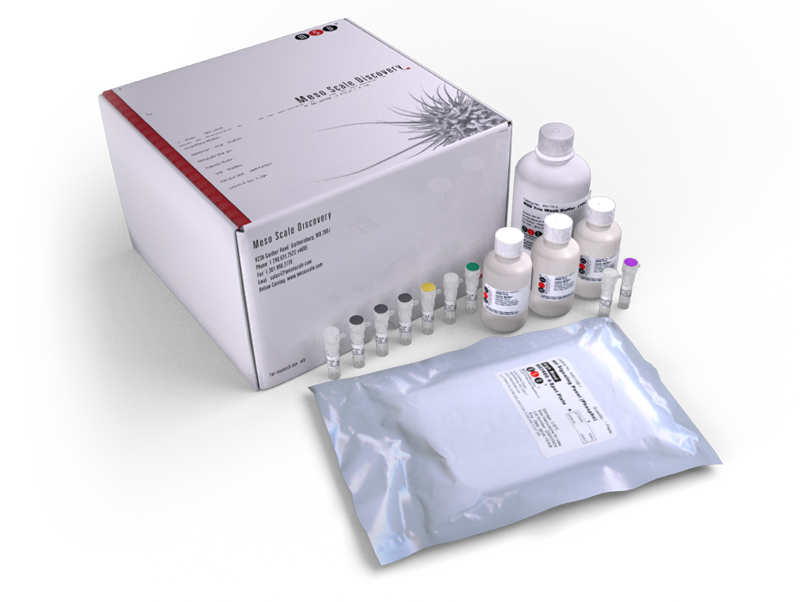 The U-PLEX Chemokine Combo 1 (NHP) provides assay-specific components for the quantitative determination of Eotaxin (CCL11), Eotaxin-3 (CCL26), IL-8 (CXCL8), IP-10 (CXCL10), MCP-1 (CCL2), MCP-4 (CCL13), MDC (CCL22), MIP-1α (CCL3), MIP-1β (CCL4), and TARC in cell culture supernatants, serum, and plasma.